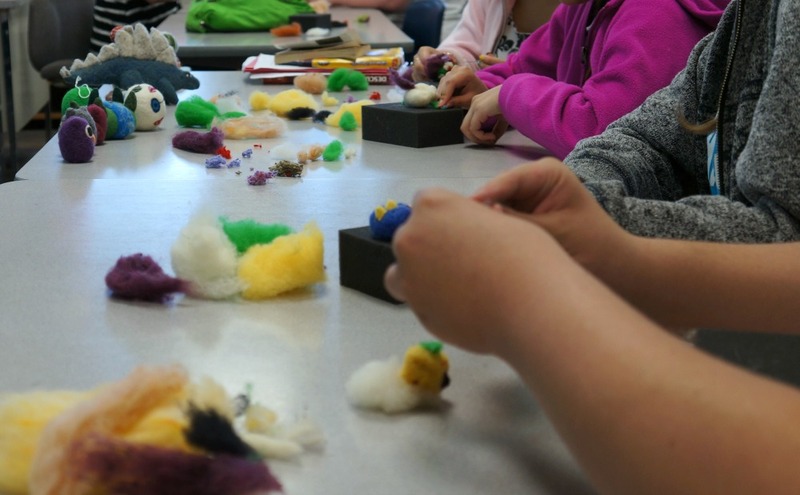 On Thursday, I visited my friend Jessica's middle school art class and gave them a quick lesson on needle felting. 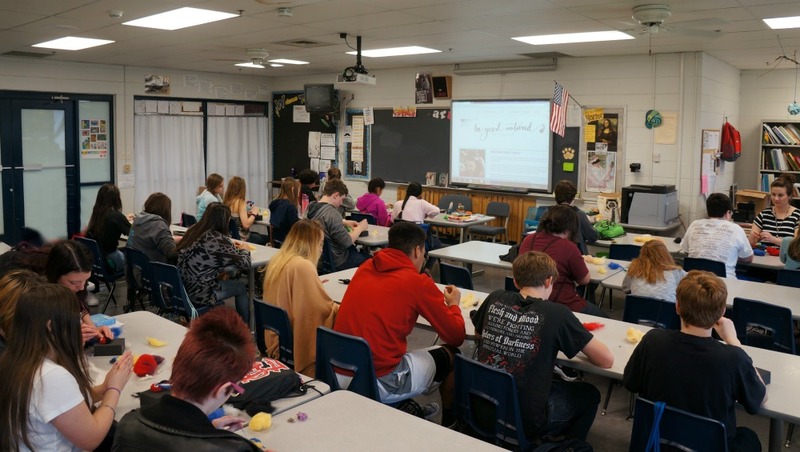 I had a great time, and the students loved it as well. 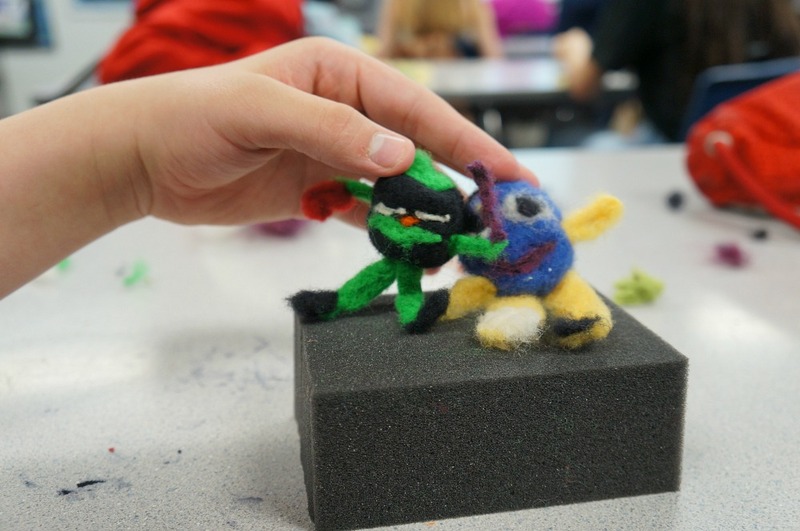 My friend said they were talking about it and showing other teachers what they made during our mini-workshop. 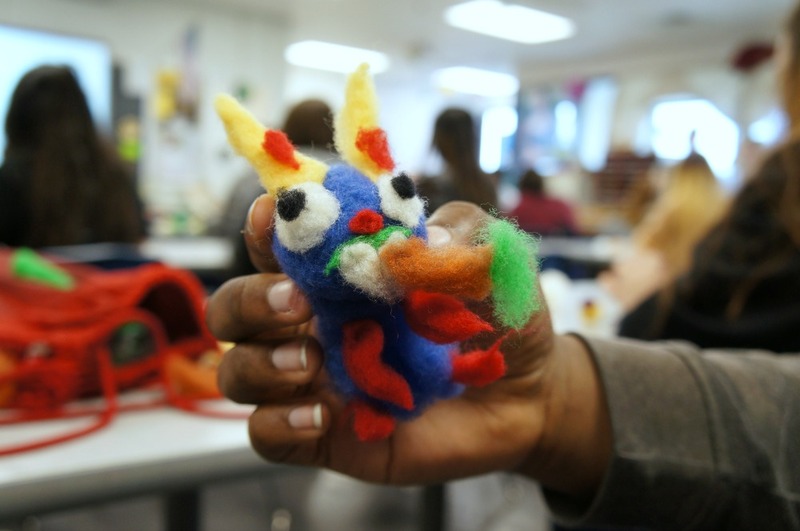 I showed them how to create little monsters and critters, and I was so impressed with their creativity! They picked up the technique quickly, and only a couple needed a bandage for their poked fingers. Getting back in a classroom setting with younger students felt great. Mostly I teach adults now, but a year ago I was still working as a zoo educator teaching Pre-K to elementary kiddos. I was worried that I might be nervous, and I was for the first few minutes. But that quickly subsided and teaching in a classroom felt great, just like it used to feel. I'm totally game to visit more classrooms and give a lesson or two. If you're a teacher (or you know one) in Southern Missouri or Northern Arkansas, get in touch if you'd like to set something up.